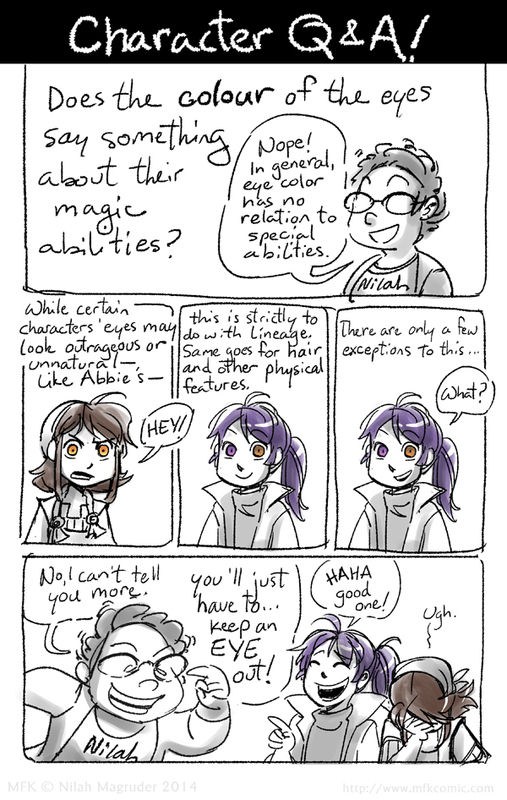 To elaborate further, you’re just as likely to see a non-parapsi with a peculiar eye/hair color than a non-parapsi, and the same goes for more common eye/hair colors. Don’t use these things as indicators for whether or not someone is a parapsi. All the same, some eye/hair colors are specific to certain families. Only people of Abbie’s homeland have orange eyes like hers. 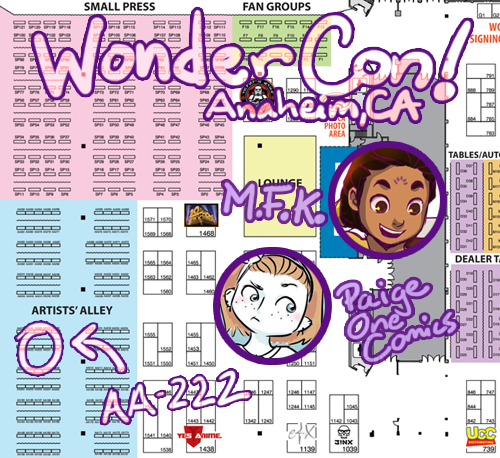 Are you going to WonderCon this weekend? So am I! Come visit Paige One Comics and me in Artist Alley, table AA-222. I’ll have some prints, along with M.F.K. Chapter One – it’s M.F.K.’s very first printed book ever!